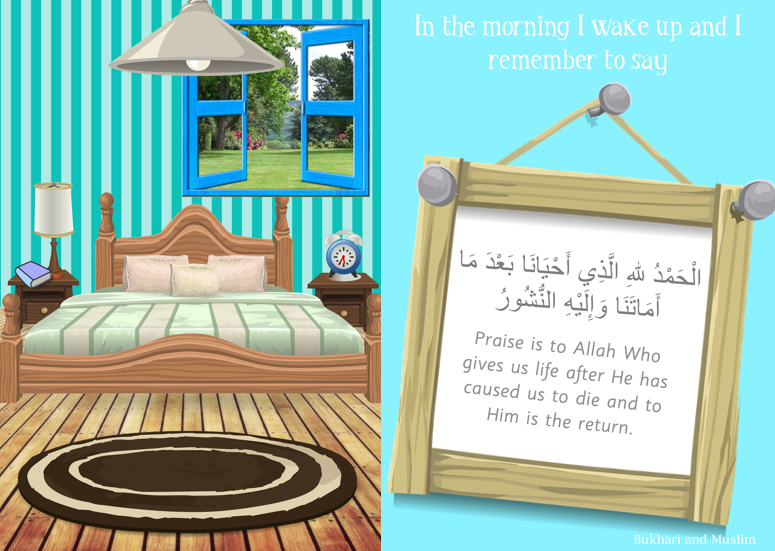 a muslim homeschool: "In the morning I wake up and remember to say" printable poster! "In the morning I wake up and remember to say" printable poster! Download and print at home! To get professional printing results, print onto Photo paper (you can purchase cheaply from many pound stores) and on your printer settings, select "print borderless" to give you a finish right to the edge of the paper inshaAllah!